Celebrating its 30th Anniversary, Fame the Musical will tour the UK in 2018 opening at the Palace Theatre Manchester on 20 July 2018. 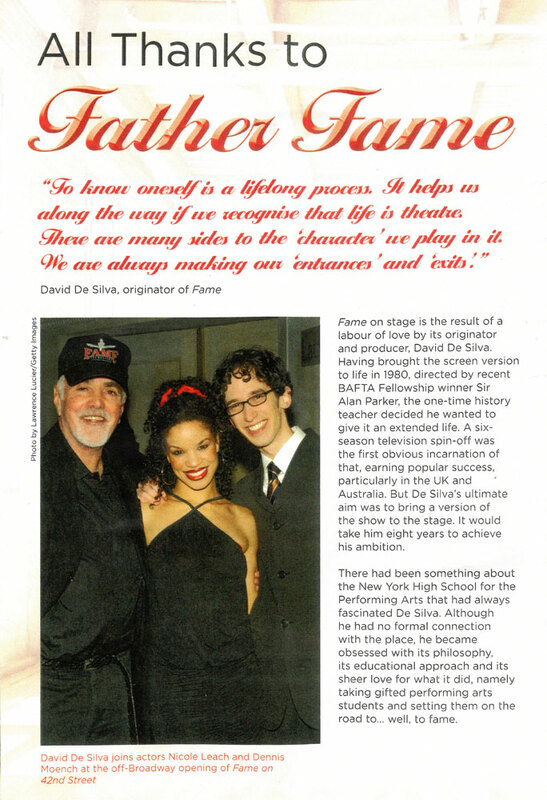 Fame the musical is based on the 1980 smash hit film Fame which follows the lives of students at New York’s High School For The Performing Arts as they navigate their way through the highs and lows, the romances and the heartbreaks and the ultimate celebration of life. This bittersweet but uplifting triumph of a show explores the issues that confront many young people today: prejudice, identity, pride, literacy, sexually, substance abuse and perseverance. 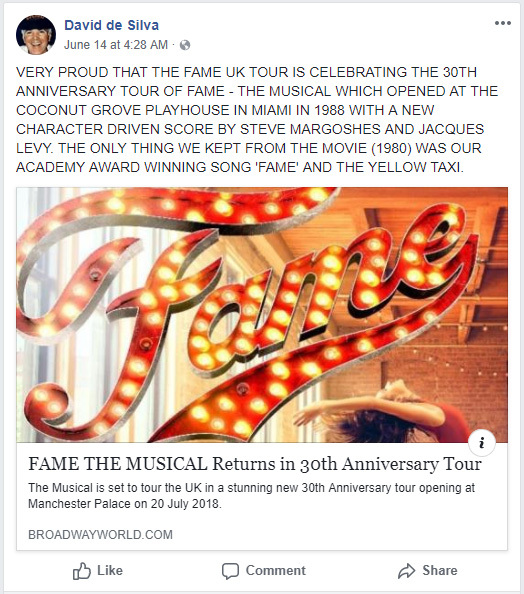 Since its opening in Miami Fame the musical has been presented in London’s West End no less than seven times. 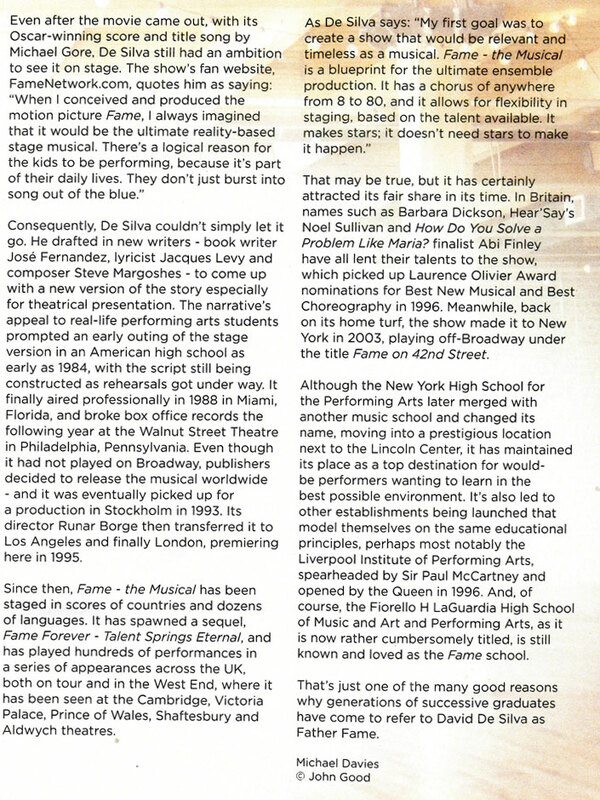 Fame the musical UK Tour is presented by Selladoor Worldwide with Adam Paulden and Dan Looney. Fame will be directed and choreographed by Nick Winston with design by Morgan Large. Casting is to be advised.